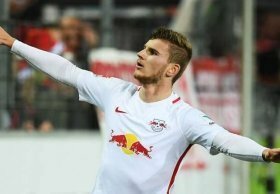 The 22-year-old has been a top performer for Leipzig since their promotion to the Bundesliga two years ago and he has already amassed 58 goals for the club in less than 100 appearances. Amidst this, Werner had recently hinted that he could fancy a big-club move with Bayern potentially a possible destination but it appears that the German champions could face further competition from abroad. Liverpool are already said to hold a long-term interest in the German but according to The Mirror, they could face competition from the Gunners who are looking for another striker in their ranks. Werner, who can play across the attack, could be seen as a probable replacement for England international Danny Welbeck whose contract expires at the end of the campaign. However, the German may still need assurances of regular gametime, given he is unlikely to fancy playing back up to front duo Alexandre Lacazette and Pierre-Emerick Aubameyang.